Publishing and literary figures from Bangladesh, Sweden, Hong Kong, Iran, the UK, Hungary, and Cameroon are on the shortlist for the 2018 Prix Voltaire from the International Publishers Association’s Freedom To Publish committee. This year’s Prix Voltaire winner will be announced on February 11 during the International Publishers Association‘s (IPA) 32nd International Pulishers Congress when it’s seated at New Delhi. The award program’s shortlist selections, made over months of nominations and deliberations, honor the struggles faced by those in the international book publishing arena who have, in many cases, endured serious adversity for the sake of the freedom to publish. Here are the five shortlisted nominees for the 2018 Prix Votaire. 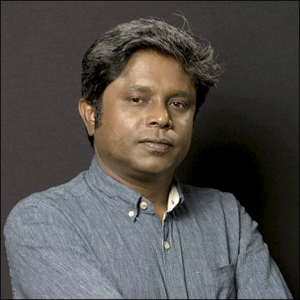 Ahmedur Rashid Chowdhury is the Bangladeshi publisher and poet who founded Shuddhashar (Pure Gold in Hindi) magazine in 1990 and the publishing house of the same name in 2004 in Dhaka. After publishing the writings of aetheist authors, his life was threatened in February 2015 and was the victim of a machete attack in the following October and hospitalized in critical condition. He has lived in Norway since 2016 and was shortlisted by the IPA for the Prix Voltaire in that year, as well. 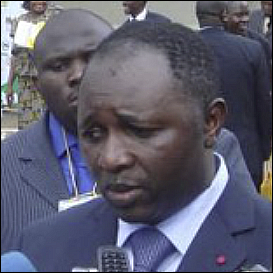 In that instance, Medjo’s health reportedly was seriously damaged in a two-year stint behind bars at New Bell Prison. Tamás Miklós, is a Hungarian publisher who has dedicated much of his life to publications that challenge the Hungarian regime. In 1980, he founded Medvetanc (Bear Dance), which he edited for a decade. 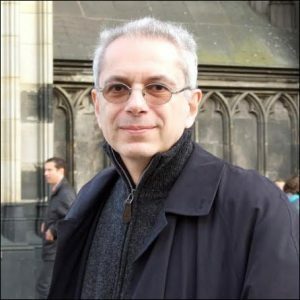 He has aslso collaborated with publishers across Europe on various projects, and he founded the Atlantisz Publishing House and foundation to ensure that key texts in the fields of philsophy, the theory of history, cultural history and psychology were available in Hungarian. He has been awarded the Knight’s Cross of the Hungarian Republic and received the Cross of the Order of Merit of the Federal Republic of Germany for services to German culture. 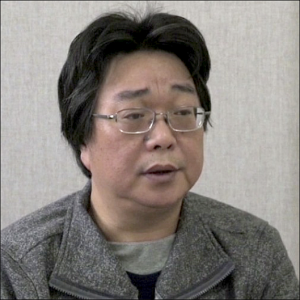 Gui Minhai is one of the “Causeway Bay Bookstore Five” Hong Kong booksellers who disappeared in late 2015, one of them saying that he was kidnapped by Chinese authorities. Gui was reported by CNN and other outlets in October to be missing despite China’s announcements that he had been released from prison. Gui holds a Swedish passport and his daughter has been active in trying to discover her father’s whereabouts. On Tuesday (January 9), Ari Zatlin mentioned Gui’s case in an article at PEN America on “conditional release” from incarceration in repressive regimes. In 2016, Gui and his four fellow Hong Kong-based publishers were shortlisted for the Prix Voltaire as a group. 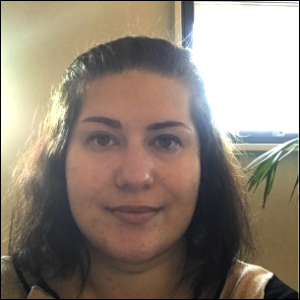 Azadeh Parsapouris is the creator of London’s Nogaam, a house launched in 2012 to digitally publish Farsi writings that are censored in Iran and make them available free of charge under a Creative Commons License. 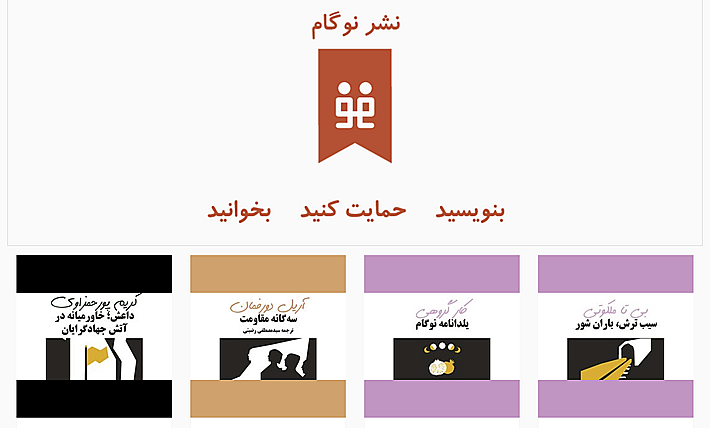 Iranian readers can access more than 40 titles so far produced by Nogaam on topics controlled in Tehran including immigration, censorship, LGBT issues, underground music, women, relationships, war, and extremism. This is Parsapouris’ second time on the shortlist; she was a candidate last year for the Prix Voltaire, as well. Clockwise from upper left, members of the International Publishers Association’s Freedom To Publish Committee who have chosen the 2018 Prix Voltaire shortlisted nominees are: Bodour Al Qasimi (UAE); Olivier Betourné (France); Ana María Cabanellas (Argentina); Kristenn Einarsson (Norway); Yonca Cingöz (Turkey); Evi Werkers (Belgium); Jessica Sänger (Germany); Giulia Marangoni (Italy); and Trasvin Jittidecharak (Thailand). The topic of the freedom to publish—the world book industry’s iteration of free expression—has taken on unusually high attention in the first two weeks of the year, of course, with the cease-and-desist letter that Donald Trump had his attorneys send to Macmillan’s Henry Holt & Company earlier this month in an attempt to block its publication of Michael Wolff’s Fire and Fury: Inside the Trump White House. And, as we’ve reported here, Trump has spoken of trying to alter American libel law, which is the United States’ fundamental legislative protection of unfettered publication. All of our stories on the Fire and Fury release are here. And at a time of threats in many parts of the world to free expression and the freedom to publish, the Prix Voltaire has an opportunity this year to gather new resonance in the world publishing industry. The award’s name is relatively new. Formerly known as the IPA Freedom to Publish Prize, it was given its new name in 2016 at the London IPA world congress 31 (the congress is biennial) held in conjunction with London Book Fair. In that instance, the prize was awarded to Raif Badawi, the imprisoned Saudi online publisher. François-Marie Arouet, of course, was the 18th century French Enlightenment writer and philosopher known by his nom de plume, Voltaire and to this day revered as one of the great thinkers of the world. Defying censorship, Voltaire experienced the kinds of state retribution that can be meted out today to too many in the publishing world, taking his pen name in 1718, in fact, after being incarcerated in the Bastille. For the purposes of the IPA Prix Voltaire, the definition of ‘publisher’ is an individual, collective or organization that provides others with the means to share their ideas in written form, including via digital platforms.